This is not the complete list available for "Sword Accessories". This has been filtered to show only Sword Accessories results for the Victorinox Swiss Army brand. 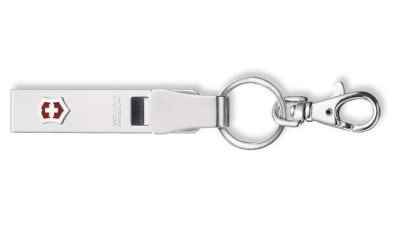 Victorinox quick-release mechanism easily detaches keys from your favourite pocket knife. Swiss Army Cordura Belt Pouch for lockblades. The Victorinox Stainless Steel Belt Hanger clips securely to your belt, allowing you to hold a knife, keys, or other tools. The SwissTool Belt Pouch is for SwissTool, SwissTool RS, SwissToolX and Black Oxidized SwissTool by Victorinox. 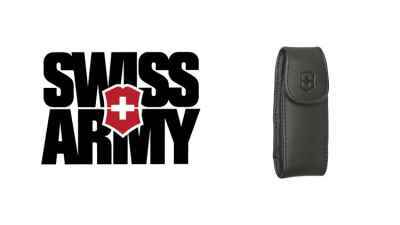 The Victorinox Medium Leather Knife Pouch with clip is designed to fit most medium sized 84 mm Victorinox Swiss army knives.